Hello again friends! I am writing this post with a mix of emotions. This is the last official blog hop for the 2017 Artisan Design Team. I am always excited to share ideas with you all, but I am a little sad this wild ride is coming to an end! Of course, I will still be creating and posting. And you can still come visit my blog! Who is the Artisan Design Team, you ask? 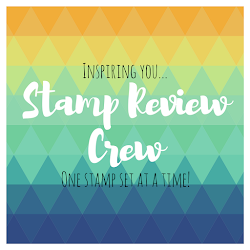 We are a group of 20 Stampin' Up! 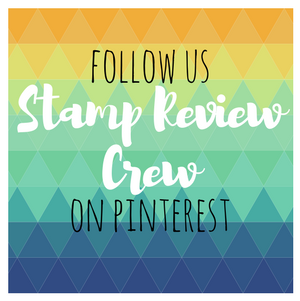 demonstrators from around the globe, handpicked by Stampin' Up! to bring you inspiration and projects with the latest and greatest supplies. We are also introducing you to the new team who will start their year in January! I am so excited to see everything they create! 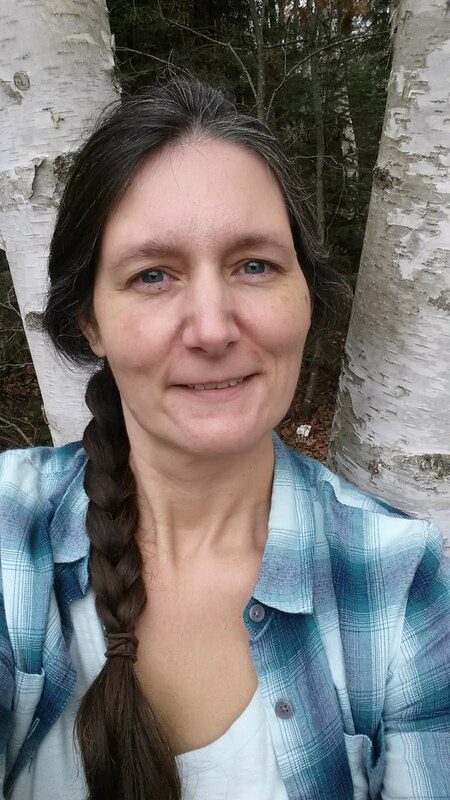 If you are following along in order, you have arrived from the blog of the lovely and talented Sylwia Schreck. This time we are featuring Merry Cafe stamp set with the Coffee Cups dies. LOVE them both!! 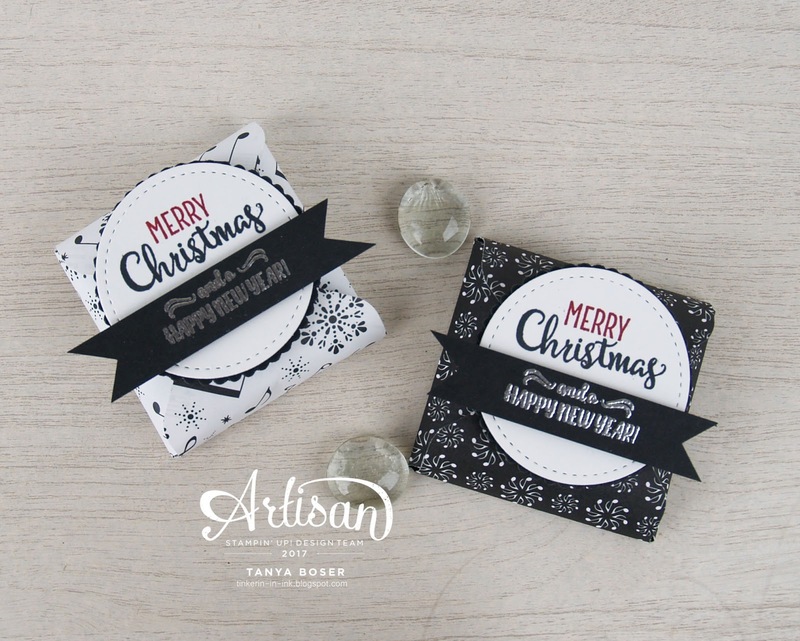 My first project is these adorable little chocolate packets! They take almost no time to create. 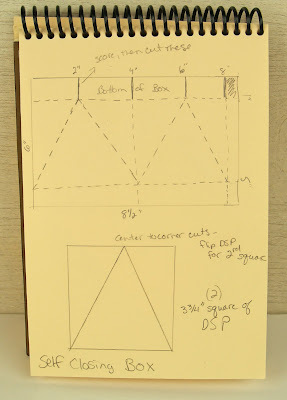 Start with a 4" or 10.2 cm square of patterned paper. 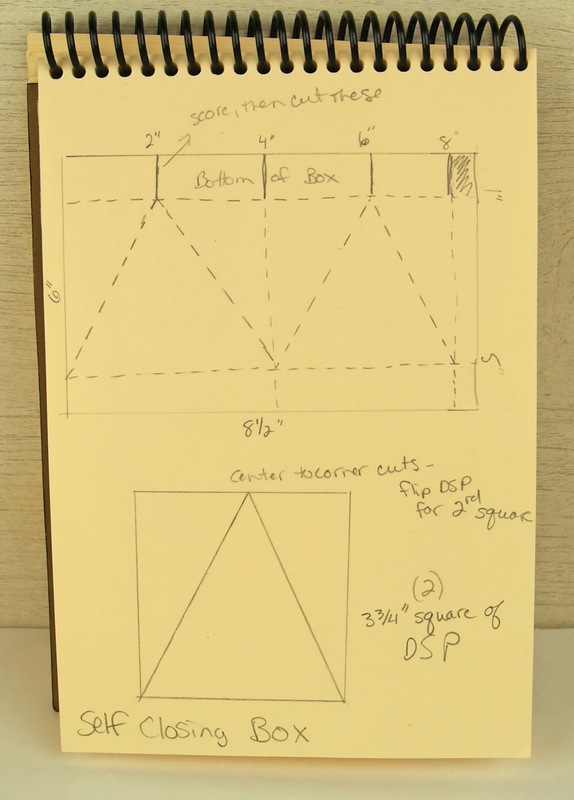 Using the Envelope Punch board, punch and score at 2" or 5.1 cm, on all four sides. Lightly fold over at all of the scored lines. Place your treat inside. Fold all the flaps, securing only once on top of the package with a dimensional. Add your decoration to the dimensional. You might even add a second dimensional to keep it balance. All done! Here is a video of a larger version of this same packet. I must have been in a stocking stuffer/ co-worker gift mood! This is a little box that I have been making for years! I will be making a video on how to make them in the next month or so. Be sure to come back to check it out. In the meantime, here is a link to a written tutorial I did ages ago! Click on this image to go to the tutorial also. Sorry the image is cut off on the left edge. That measurement is 8¼". I have made notes for different sizes all over this diagram, so I had to use this old photo. I have shown this self-closing box before too, and I still love making them. And this is on my list of videos to create also. 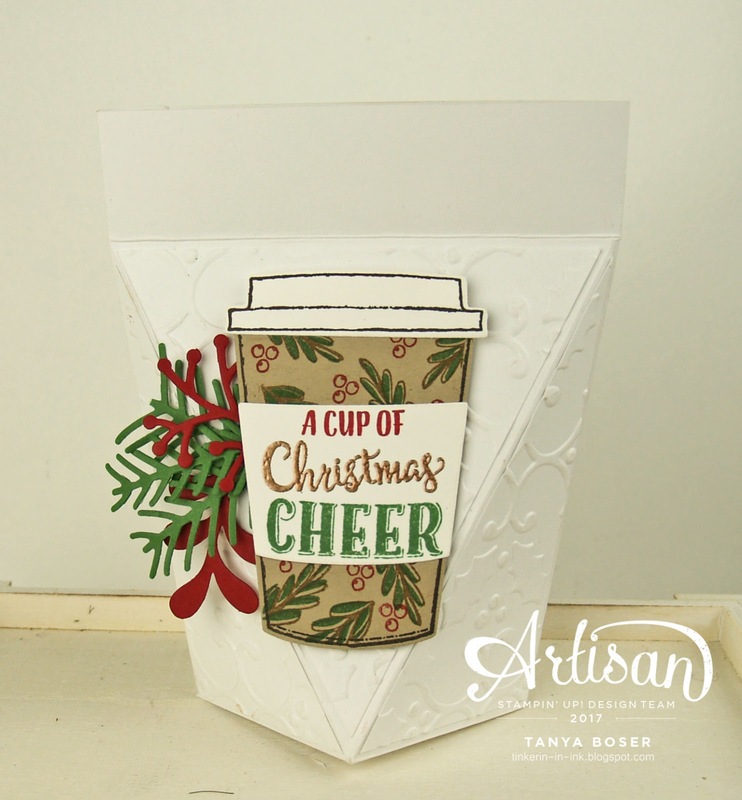 I used the Holly embossing folder to add texture to the box, and Pretty Pines dies help to make this even more festive! 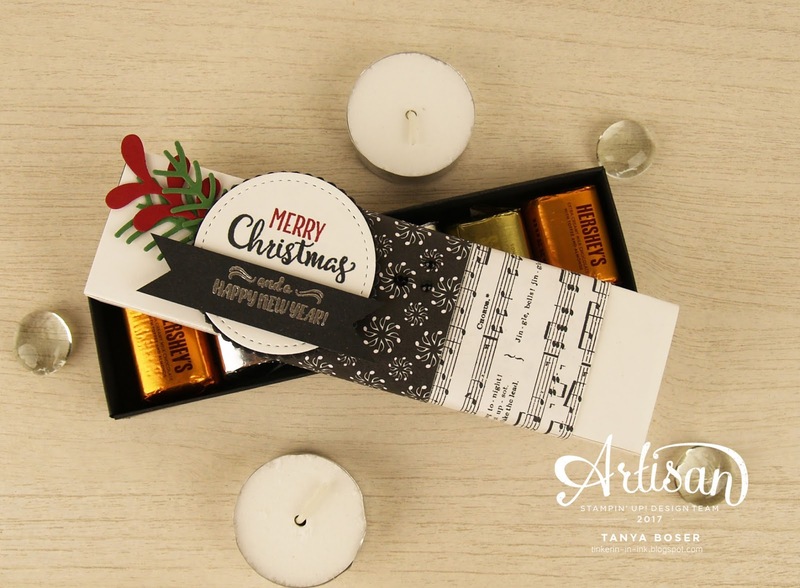 This particular box smells divine, as it holds a baggie with 1 ounce of Noel Christmas loose leaf tea. Yum!! 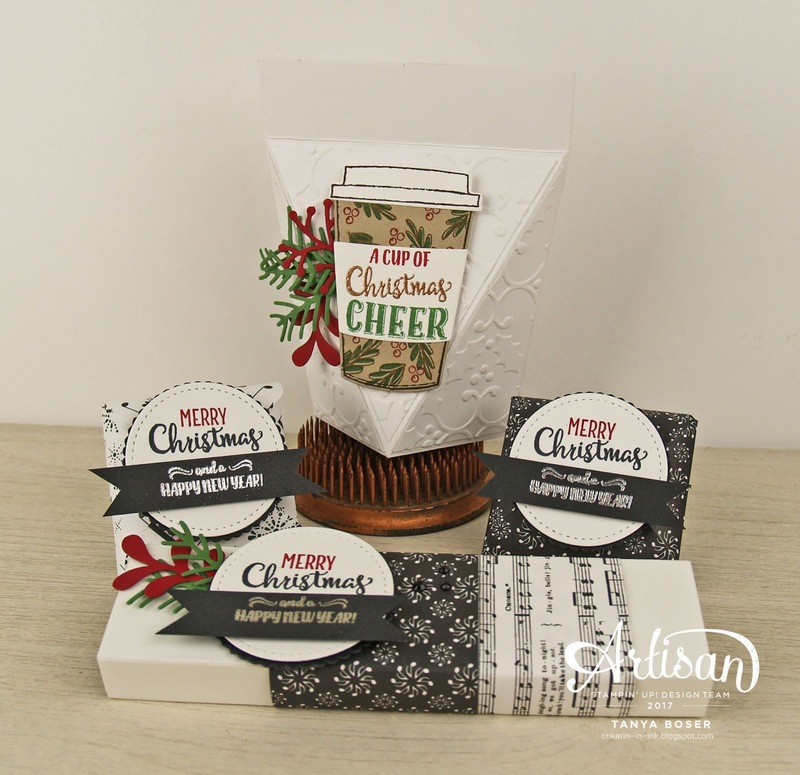 This box will also hold a gift card, lots of sweets, and jewelry or other small items. Here is the diagram of this box, until I can get a video made. 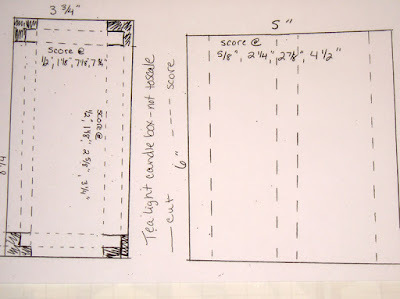 I will also post a chart of the measurements for all kinds of sizes in the near future! I am the last stop on the hop, unless you started somewhere in the middle. In which case, keep clicking my friend!